Exciting Changes in the Farmyard! 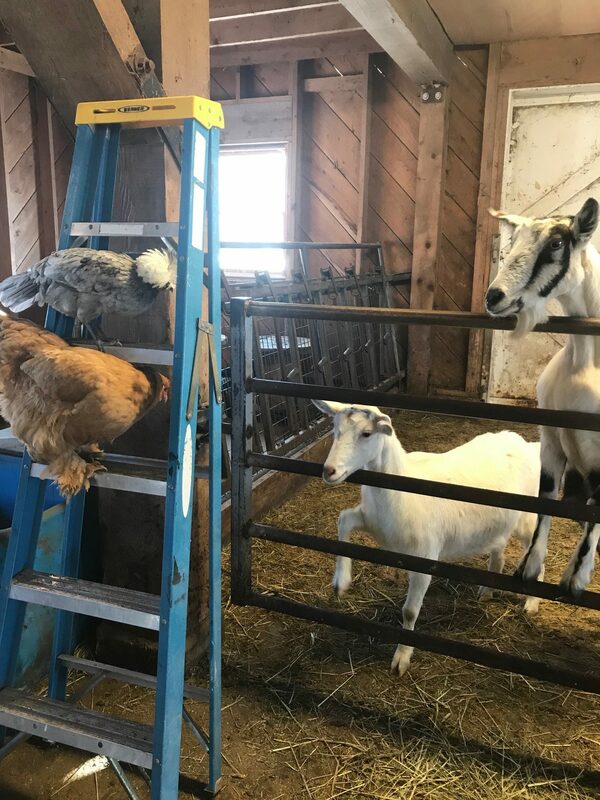 - Pineland Farms, Inc.
News > Education > Exciting Changes in the Farmyard! Last fall some exciting things started brewing at Pineland Farms, and we are eager to let you know what to expect this year. During the summer and fall of 2018 we saw the most amount of visitors we have ever had come through the Family Farmyard and our Corn Maze. 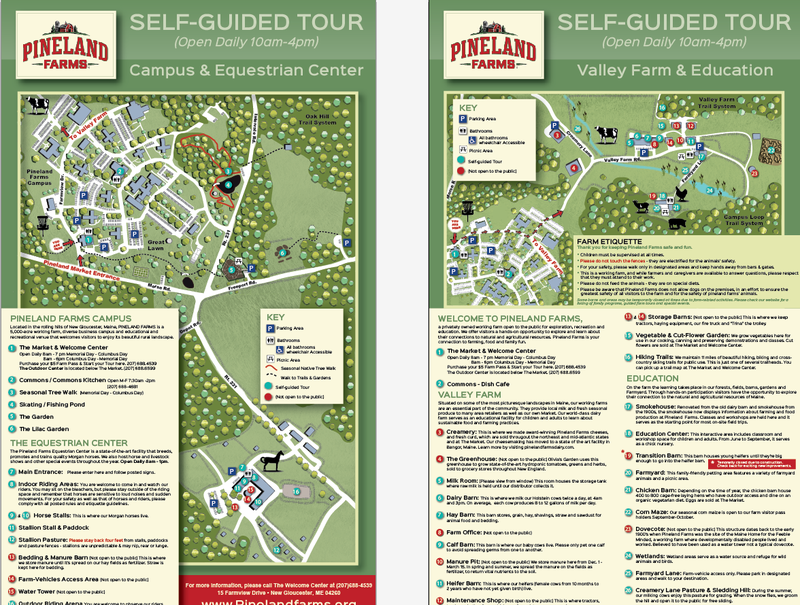 We were thrilled to have over 22,000 folks visit us during 2018, and explore and learn about Pineland Farms. 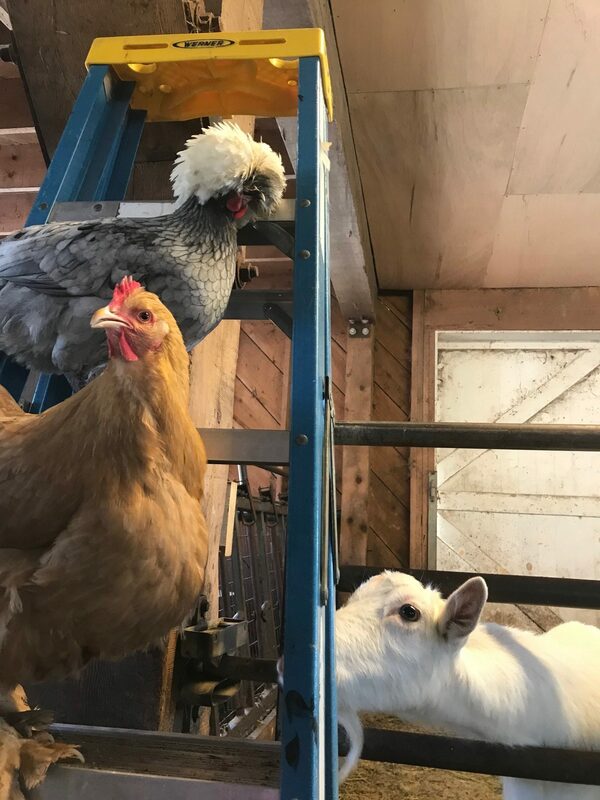 For many years our only year-round residents in the farmyard were our Golden Comet hens and around 15 Holstein heifers that were being prepared for shows at local agricultural fairs. While this was a necessary use for the barn we recognized that there was potential for this barn to have a greater impact on our visitor’s experience. At the beginning of the year we pulled our young stock of heifers out of the barn and started rearranging pens, adding a ceiling and plans for new animal additions are well underway. While this is a very exciting change, it will likely effect visitors to the farm over the next few months. During the construction phase the portion of the barn that houses animals will most likely be closed to all visitors. In an effort to ensure everyone’s safety it is important for us to allow enough space for our farmers to move large and heavy items around. We recognize that this may impact your visit to the farm and want everyone to enjoy their experience as much as possible. The goats will miss you but still come see them on nice winter days! Below are some helpful guidelines for visiting the Family Farmyard over the next few months. If you plan to visit our goats, you will be able to see them in their outside pasture if the weather is pleasant. If the temps are low or the weather is bad, they will be inside the barn and unfortunately we cannot allow for inside visits. Fingers crossed for nice weather! Our flock of mixed breed chickens are having some much needed rest and relaxation and will not be greeting visitors during the construction. They are spending the winter inside the barn and are keen supervisors for the barn construction. Our mixed breed chickens can’t wait to see you in the spring! Our Golden Comet hens, Holstein Cows and Pea Fowl will be excited to meet all the visitors during our construction period. Upon your visit to the farm this winter stop at the Market to purchase your $5 pass and ask for a Self-guided Tour Map to see which locations are open to our pass holders. We hope to see you all at Pineland Farms during 2019!